Police spokesman Joe Macenka said charges filed against 29-year-old John F. Landers II of Henrico County Tuesday include assault on a law enforcement officer and driving under the influence of drugs. 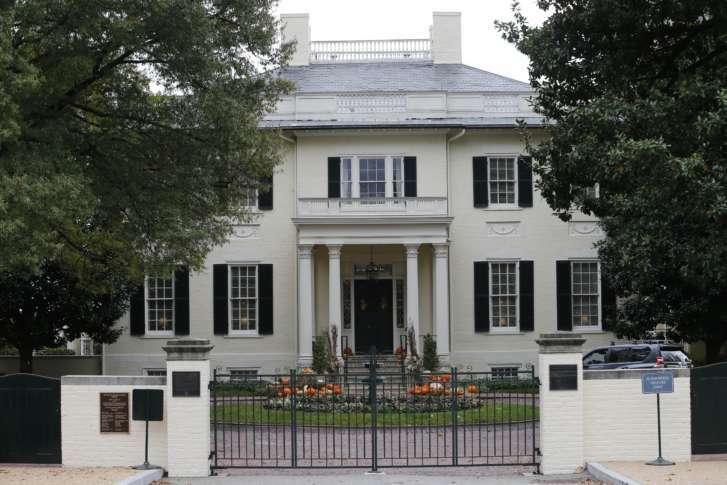 RICHMOND, Va. (AP) — Virginia Capitol Police say they have filed multiple charges against a man who they say drove onto Capital Square without permission and approached the Executive Mansion while speeding. Police spokesman Joe Macenka said charges filed against 29-year-old John F. Landers II of Henrico County Tuesday include assault on a law enforcement officer and driving under the influence of drugs. Police say Landers drove onto the square and forced an officer to jump out of the way. Landers was arrested after authorities say he parked his car on the South Portico of the Capitol, which is off-limits to cars, and fled down a hill. Macenka said Gov. Ralph Northam and his wife are in Richmond and were in and out of the Executive Mansion all day.